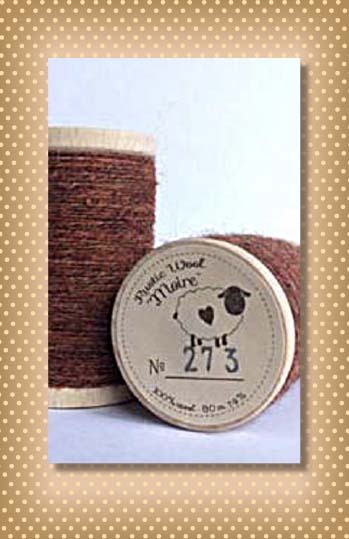 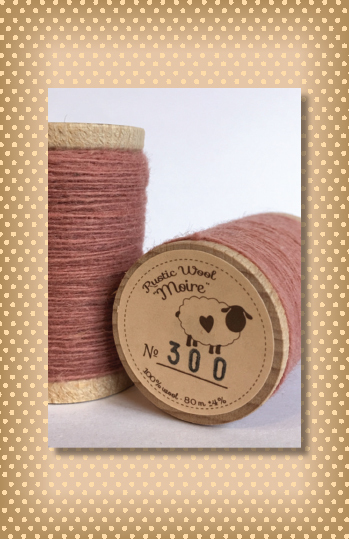 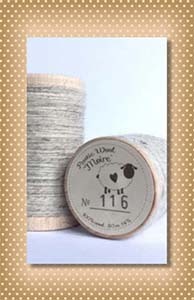 Nutmeg Hare LOVES the new Rustic Wool Moire Threads...LOVE the wooden spools, too! 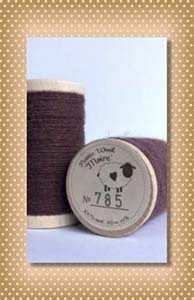 Ideal for your primitive stitching adventures in wool appliqué, embroidery, crazy quilt stitching, punch needle, or perhaps to display and admire in a big vintage jar. These 100% wool threads from Spain are rustic in nature with a wonderful texture. 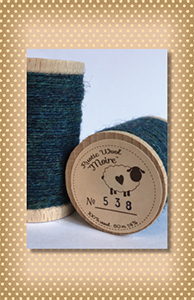 Enjoy the array of gorgeous colors in both heathered and solid shades. 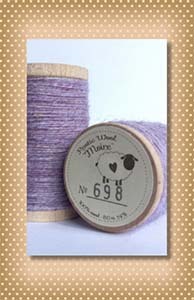 Each spool contains approximately 87 yards of thread delight. Beautiful 100% wool thread from Spain. Each wooden spool contains approximately 87 yards of thread delight!